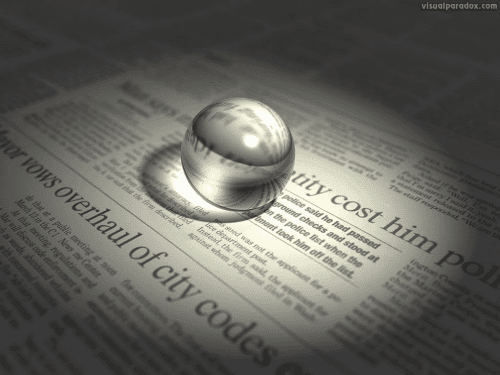 11/06/11 -- Tabloid rag The Daily Mirror carries the shocking headline "1 in 4 women will be beaten by husbands." I'm surprised it isn't higher than that, all three of mine have been rubbish at Scrabble, Trivial Pursuit, football, arm wrestling and the like, I used to beat them all the time. #3 reckons she's better than me at pool, she isn't it's just these new glasses that I've got. I'm struggling to think of anything that #2 was good at apart from smoking and drinking Bacardi. No, that was it. And as for #1 there was pretty much only one thing she was any good at as well, and lets just say it didn't usually involve me. 10/06/11 -- Soybeans: Jul 11 soybeans closed at USD13.87 1/4, down 6 1/2 cents; Nov 11 soybeans closed at USD13.81 3/4, down 5 cents; Jul 11 soybean meal closed at USD373.30, up USD0.40; Jul 11 soybean oil closed at 56.85, down 55 points. On the week as a whole old crop beans fell 27 1/4 cents, with new crop Nov down 15 1/4 cents. The market looks tired in the aftermath to yesterday's slightly bearish (for beans) USDA report which raised both old and new crop ending stocks and increased Brazilian output to a record 74.5 MMT. Flooding along the Mississippi and Missouri Rivers is old news. Data showing that China's export growth slowed in May was new news, and news that raised question marks over the well-being of the global economic recovery. A strong dollar and crude oil tumbling by more than USD2.50/barrel added bearish sentiment. Corn: Jul 11 corn closed at USD7.87, up 1 1/2 cents; Dec 11 corn closed at USD7.12 1/2, down 1 1/2 cents. Not a lot of changes on the day there. Old crop corn was up 33 cents on the week, with new crop Dec rising 26 1/4 cents. Corn put most of those gains in yesterday when both new and old crop corn set contract highs. Corn is now trading at it's largest premium to wheat in fifteen years. In fact it's very rare that corn trades at any sort of a premium to wheat, but based on tonight's closes it currently stands at 27 3/4 cents. On the export front it is being reported that US corn is now around USD90/tonne dearer than Australian feed wheat into the east Asian market, which will surely lead to a reduced demand for US corn from the feed sector there. On Monday all eyes will be on how the USDA see corn planting progress (94% done last Sunday night), in particular in Ohio (only 58% done as of Sunday night). Wheat: Jul 11 CBOT wheat closed at USD7.59 1/4, up 14 1/4 cents; Jul 11 KCBT Wheat closed at USD8.68, down 3 1/4 cents; Jul 11 MGEX Wheat closed at USD10.00, down 20 3/4 cents. Although old crop Chicago wheat closed higher, new crop Dec was 12 cents lower. On the week as a whole Jul CBOT wheat was 14 1/2 cents lower, with KCBT losing 46 1/4 cents and MGEX 60 1/2 cents. That would appear to indicate spread unwinding between CBOT and MGEX during the week. The unusual corn premium may encourage demand for wheat from the feed sector in the US. Russian spring grain planting has reached 95% done and the country will produce 85 MMT of grain this season unless adverse weather intervenes, says the Minister of Agriculture. 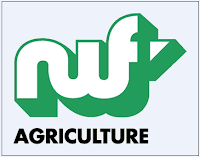 10/06/11 -- EU wheat futures closed lower with Jul London wheat down GBP4.00/tonne to GBP192.00/tonne and with new crop Nov falling GBP4.95/tonne to GBP184.45/tonne. Nov Paris wheat was down EUR4.25/tonne to EUR231.25/tonne whilst May12 also fell EUR4.25/tonne to EUR234.25/tonne. July London wheat was down GBP3.00/tonne on the week, with Nov falling GBP8.55/tonne. Nov Paris wheat fell a more modest EUR3.00/tonne, a sign that new crop London wheat had become overvalued. More than one merchant has commented to me this week that GBP190.00/tonne or better is a clear sell for new crop. More than one has also commented that wheat here has perked up surprisingly well after the recent rains. Talking of which the outlook is for more of the same going forward. "There's no sign of any real let up in the unsettled theme with low pressure never far away for the foreseeable future, but there will still be some brighter and warmer spells in between the showers," say Metcheck. Sounds like ideal growing weather to me. Maybe we will get a wheat crop after all? After Thursday's bullish impetus courtesy of the USDA it has to be said that wheat put in a pretty pathetic performance. Giving up GBP6.00/tonne gains in mid-afternoon to close only forty pence higher yesterday, and now losing almost a fiver today which sets Nov London wheat back to it's lowest close since May 17th. Contrary to what's been happening in northern Europe, bumper winter and spring rainfall is seen boosting Spain's wheat crop to around 6.5 MMT this year, a 12% increase on 2010 production. Barley output is forecast to rise 10% to 8.95 MMT, making Spain Europe's third largest producing nation after France and Germany, according to the local Cooperatives Agrarias. The euro wavered as the week has wore on, with the pound rising from a low of 1.1138 on Tuesday to close the week at 1.13 as internal squabbling between EU policymakers and the ECB over debt assistance for Greece sends out the signal that there is a lack of cohesion and consensus over this thorny issue. In outside markets NYMEX crude oil fell more than USD2.50/barrel on news that Saudi Arabia is to offer more oil direct to Asian refiners, after failing to get OPEC to approve it's proposal to increase production earlier in the week. 10/06/11 -- My mates at Agrimoney.com, which incidentally is my second favourite website in the world, report that Canadian farmers are "to abandon an area of land the size of Belgium" in this story here today. I was devastated when I read that, as at first I thought it said that they were going to abandon Belgium, not an area of their own land the size of Belgium. If ever a country want's abandoning then they're it. Have you ever been to Belgium? I have and it's rubbish. I did have MrsN#1 in tow mind, so it was never going to be an enjoyable experience was it? She was devastated to find that the place wasn't packed with rugby players to "befriend". 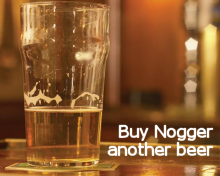 In fact it was just full of Belgians as I recall, what a disappointment that was. They can't even agree on what language to speak over there you know. It's a bit like Wales but without the hills. Suppose you got Wales right and laid it out on a table and ironed it flat. Well that's Belgium. Forget about Anglesey, we don't need that bit for the purposes of this experiment, so just throw that bit away. There you go, that's the creme de la creme of Belgians, with Plastic Bertrand at their musical pinnacle. A more shamefully motley crew I think it would be hard to find, and a country well worthy of going into Room 101. Oh, if Agrimoney are second who's top? GrainPortal.com obviously. 10/06/11 -- The overnight markets see beans down 8-10c, corn 1-3c lower and wheat down anywhere from 4-11c. Crude oil is down a tad and the dollar is firmer. Yesterday's excitement took corn close to USD8.00/bushel, and a substantial premium over wheat. US corn is now reportedly USD90/tonne dearer than Australian feed wheat into eastern Asia. Weekly export sales for corn will clearly want monitoring between now and harvest. The USDA left potential corn yields unchanged from last month at 158.7bu/acre. Despite the current late planting scenario it is still possible that this could improve significantly given a beneficial growing season. The corn yield was above trend and record large in the late-planted year of 2009 (at 164.7bu/acre) when a generally cool, wet summer favoured crop development and grain fill. The way Mother Nature has been behaving of late must of course put a fairly large question mark over whether she is likely to be so co-operative this year, but it could happen. It should also not be overlooked that the USDA have 5 billion of the expected 13.2 billion bushel crop going into ethanol production in 2011/12 and that the ethanol blender's tax credit is up for renewal on Dec 31st. Meanwhile we have the funds buying into corn like it's a licence to print money, and that's pretty much exactly what it has been for them of late. It may take something "off field" to change that sentiment. In other markets I see that prilled urea FOB the Black Sea is up USD120/tonne since the 1st of April (no, it's not a joke). That's all down to rising energy costs they will no doubt tell us. Except NYMEX crude is down USD7/barrel since then. Tunisia have bought 25,000 MT of wheat from my old employers Bunge overnight I see. The reported price is USD333/tonne, a substantial discount to the price Algeria recently paid suggesting that they were a bit more flexible on origin. Some of the offers put up apparently included a "get out clause" along the lines of "we'd like to supply Russian/Ukraine wheat but we will provide another origin if they put the blocks back on." Brussels issued soft wheat export licences for 128,000 MT yesterday, bringing the year to date total to 18.7 MMT, 11% up on last year. Almost passing us by un-noticed yesterday was the Bank of England holding interest rates at 0.5% for what I read was the 27 month in a row. Has it really been that long? Blimey! The vibe on the streets is that the ECB may start to increase rates in the Eurozone starting next month, which explains the recent euro strength. China's soybean imports rebounded to over 4.5 MMT in May, according to customs data. Portside stocks are huge my sources tell me as many of these purchases continue to be done to obtain cheap credit via the back door to fund entirely unrelated projects. The Chinese cash market for soybeans remains weak due to this over-supply. Russian spring grain planting has reached 95% done and the country will produce 85 MMT of grain this season unless adverse weather intervenes, says the Minister of Agriculture. My chums at the APK-Inform Agency say that Russia will produce a record 7.2 MMT of sunflower seed in 2011. 09/06/11 -- Corn: July corn closed up 21 1/2c at USD7.85 1/2; Dec 11 corn closed at USD7.14, up 120 1/4 cents. Corn hit fresh lifetime contract highs after the USDA cut US 2011/12 ending stocks by more than analysts estimated to 695 million from 900 million last month. Persistent wet weather and the associated planting delays now see the 2011 US corn acreage falling 1.5 million acres to 90.7 million. Global corn ending stocks were cut by much more than expected for both old and new crop, the latter falling by more than 17 MMT from last month. At the end of the day July corn closed more than 40c higher than July wheat. Soybeans: Jul 11 soybeans closed at USD13.93 3/4, down 7 3/4 cents; Nov 11 soybeans closed at USD13.86 3/4, down 5 3/4 cents; Jul 11 soybean meal closed at USD372.90, up USD0.10; Jul 11 soybean oil closed at 57.37, down 57 points. The corn numbers may have been bullish, but the bean data was bearish. The USDA raised Brazil's crop by 1.5 MMT to a record 74.5 MMT. 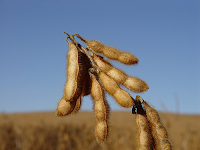 New crop US soybean ending stocks were raised by 30 million, more than expected, to 190 million. Old crop stocks also rose 10 million to 180 million bushels. Weekly export sales were disappointing again at 120,500 MT against expectations of 150-350 TMT. Wheat: CBOT July wheat dropped 3c to USD7.45; KCBT July fell 13 3/4c to USD8.71 1/4 and MGE July slipped 3/4c to USD10.20 3/4. US winter wheat production was shockingly raised from last month, contrary to widespread expectations for a fall. World wheat ending stocks were also raised for both 2010/11 and 2011/12. Spillover support from corn stopped wheat falling out of bed however. The highly unusual corn premium over wheat makes wheat look cheap from a feeding perspective. This is said to be the biggest discount that wheat has been to corn since 1996. Either wheat is cheap or corn is very expensive. 09/06/11 -- EU grains closed higher with July London wheat up GBP3.00 to GBP196.00/tonne and with new crop Nov closing GBP0.40 firmer at GBP189.40/tonne. Nov Paris wheat rose EUR1.50/tonne to EUR235.50/tonne whilst May12 was up EUR1.00/tonne to EUR238.50/tonne. Wheat rose on the back of a bullishly construed set of USDA numbers, particularly for corn, although the final closes were well off intra day highs. Earlier in the session Nov London wheat had been GBP6.00/tonne firmer and Nov Paris wheat rose as high as EUR9.75/tonne up before initial euphoria wore off. As far as wheat was concerned the USDA dropped their estimate of EU-27 production to 131.50 MMT from 138.62 MMT. Of that the French will account for 33.35 MMT, a fall of 12.7% on last year, with the German crop seen down 7.7% to 22.20 MMT. The UK crop is seen up marginally on last year's 14.88 MMT at 15.0 MMT, although that is a million below what was estimated last month. All this really does is bring the USDA into line with various other estimates kicking around at the moment. A Bloomberg survey two weeks ago pegged the EU-27 wheat crop at 131 MMT, so all we have really seen today is the USDA catching up with the rest of the crowd. EU-27 exports were cut 3 MMT from last month's forecast to 15 MMT, a fall of almost a third on the 22 MMT we are expected to ship in the current marketing year. EU-27 barley production was cut from 53.9 MMT last month to 51.75 MMT. With Germany down from 9.62 MMT to 9.0 MMT, France from 9.6 MMT to 8.6 MMT and UK from 5.35 MMT to 5.0 MMT. Wheat production and exports for 2011/12 were left unchanged across the entire FSU-12. Despite lower EU production, world wheat stocks for old crop were actually raised almost 5 MMT to 187.1 MMT and for new crop they were pegged 3 MMT higher than last month at 184.3 MMT. The big bullish story was world corn ending stocks for both the current marketing year and 2011/12 coming in well below trade estimates, including new crop US corn ending stocks declining by 205 million bushels from last month (5.2 MMT). July CBOT corn raced to a new all-time record high of USD7.91 1/2c (up 27 1/2c on the day) shortly after America opened this afternoon but had given up some of those gains by the time London was closing to stand around 20c higher on the day. US corn acreage seen falling 1.5 million to 90.7 million. Soybean area left unchanged at 76.6 million. EU-27 2011/12 wheat crop cut from 138.62 MMT to 131.50 MMT, exports also reduced from 18 MMT to 15 MMT. French wheat crop cut from 36.7 MMT to 33.35 MMT, German crop down from 24.75 MMT to 22 MMT and UK crop reduced from 16 MMT to 15 MMT. EU-27 barley production cut from 53.9 MMT to 51.75 MMT. Germany down from 9.62 MMT to 9.0 MMT, France from 9.6 MMT to 8.6 MMT and UK from 5.35 MMT to 5.0 MMT. EU corn potential left unchanged at 59.3 MMT, Ukraine corn output raised from 14.5 MMT to 15.0 MMT. 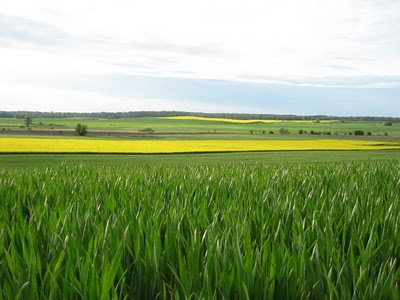 EU-27 rapeseed outlook trimmed from 20.0 MMT to 18.8 MMT with reductions for Germany (5.27 MMT to 4.8 MMT), France (4.8 MMT to 4.2 MMT) and the UK (2.2 MMT to 2.1 MMT). 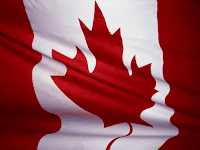 Canadian wheat crop cut 1 MMT to 25 MMT, Australian crop raised from 24.5 MMT to 25 MMT and Argy crop raised 1.5 MMT to 15 MMT. FSU-12 wheat exports left unchanged at 26.3 MMT, no alterations for production in Russia, Ukraine or Kazakhstan. Brazil's 2010/11 soybean crop was raised to 74.5 MMT. China's corn crop raised 5 MMT in 2010/11 and 6 MMT in 2011/12 to 173 MMT and 178 MMT respectively. Weekly export sales were 477,700 MT for wheat (a bit above trade expectations of 200-400 TMT), 350,200 MT for corn (below estimates of 550-900 TMT) and 120,500 MT for soybeans (again under the anticipated 150-350 TMT). Overall the numbers look bullish corn, bearish beans and neutral wheat. Early calls are corn corn to open 20-25c higher with beans 5-10c lower and wheat mixed. 09/06/11 -- The USDA's stocks data just out pegs old crop US corn and soybean inventories higher than trade expectations. Old crop corn stocks were left unchanged at 730 million bushels and those for soybeans raised 10 million to 180 million. Wheat stocks were reduced 30 million to 809 million. For new crop, corn stocks were cut more than analysts estimated to 695 million from 900 million last month. 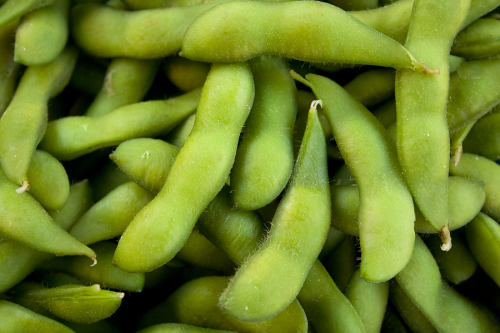 Soybean stocks were raised by 30 million, more than expected, to 190 million. 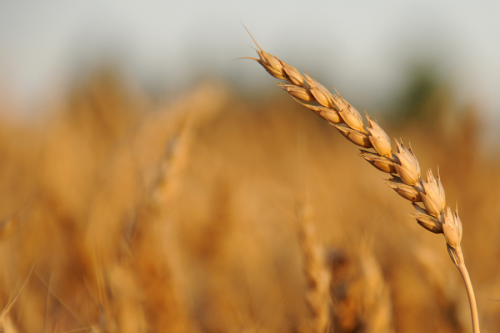 Wheat stocks fell less than expected to 687 million. US winter wheat production was raised from last month, contrary to widespread expectations for a fall. World wheat stocks were also raised for both 2010/11 and 2011/12. Corn stocks are seen falling on a global scale and soybean stocks remaining relatively static. 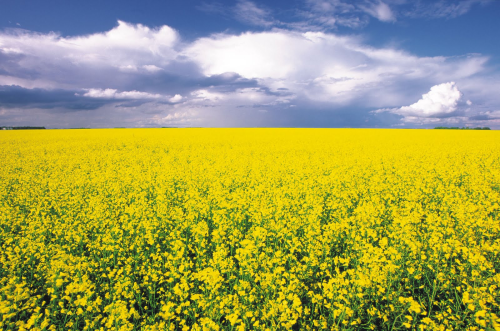 09/06/11 -- Oil World forecast the EU rapeseed crop 8% lower in 2011 to 18.9 MMT from 20.6 MMT last year. Much of that comes from the German crop which is seen falling 19% to 4.7 MMT, with output in France only down marginally to 4.7 MMT and UK production rising 4.5% to a record 2.3 MMT despite the drought. Lower production in the EU is negated by increases in output from Canada (up 10%), Australia (+14%), Ukraine (+6.7%) and Russia (+38%) to peg the world crop at 59.5 MMT, an increase of 0.3 MMT on 2010/11. "The dry weather is just starting to stress plants particularly in the middle of the day...Harvest estimates at this stage are still good." 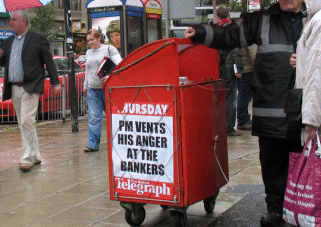 Not quite a crisis yet then. You can check out his full report here. Rain is forecast today in central and western parts, which will be beneficial to newly planted spring crops. 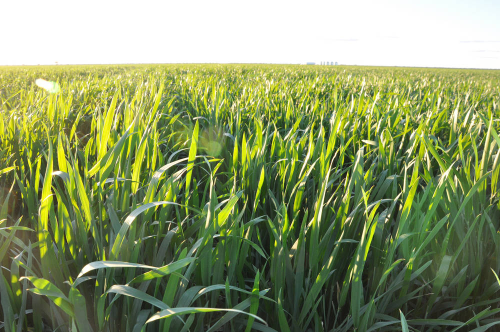 The Ministry report spring sowings on 7.6 million hectares, up 136,000 ha on last year. Corn has been planted on 3.4m ha, almost 700,000 ha more than last year, with 3.9m ha going into sunflower production and 1.1m ha now being planted with soybeans. In addition to that little lot we also have weekly export sales where the trade is looking for wheat sales of 200-400 TMT, corn sales of 550-900 TMT and bean sales of 150-350 TMT. On top of that there are global production numbers to tweak. Last month they had EU-27 wheat production at 138.6 MMT for the coming season, that will surely be reduced. FSU-12 wheat production was pegged at 100.6 MMT last time. We may also see an upward revision on 2010/11 (and even 2011/12) soybean production from Brazil which are currently pegged at 73.0 MMT and 72.5 MMT respectively. Whilst the outrageous corn bulls are looking for ending stocks to tighten in both marketing years the current pace of US exports offers the possibility to increase 2010/11 ending stocks, and therefore the carry-in from this season into next. A bearish surprise for corn would be interesting given the size of speculative length in the market. A bullish surprise would no doubt whip up enough hysteria to sent corn soaring again. That would probably be most likely to come from a reduction in US production in 2011. Wheat would appear to have more potential to be bullish than bearish, US production should fall and exports might rise on the back of a fall in EU-27 output and exports. Production and export estimates out of the Black Sea will also be of interest. Soybeans appear to have the least potential for a bullish surprise. The numbers are out at 13.30 BST and I will be posting them up here as fast as my little fingers can type. 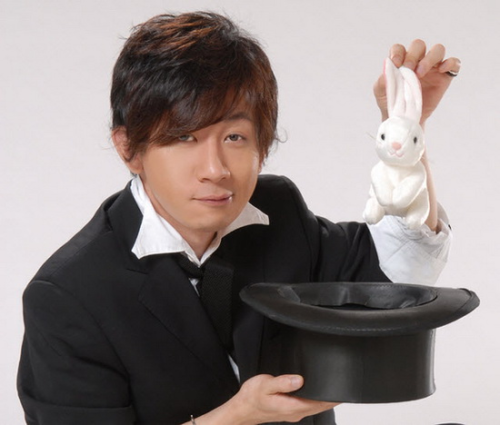 08/06/11 -- Soybeans: Jul 11 soybeans closed at USD14.01 1/2, up 7 1/2 cents; Nov 11 soybeans closed at USD13.92 1/2, up 7 1/4 cents; Jul 11 soybean meal closed at USD372.80, up USD4.80; Jul 11 soybean oil closed at 57.94, up just one point. Beans closed higher on spillover support from corn. Brazil is estimated to have produced a (comfortable) record 75 MMT of soybeans according to CONAB, meanwhile the Argentine harvest is almost done and they will almost certainly have the second highest output in history. Crude oil rallied after OPEC failed to agree to Saudi demands for a production increase. No major changes are expected tomorrow for US soybean ending stocks for either crop year. Estimates for weekly export sales are 150-350 TMT. Corn: Jul 11 corn closed at USD7.64, up 27 1/2 cents; Dec 11 corn closed at USD6.93 3/4, up 17 1/4 cents. Funds were estimated to have added a further 15,000 contracts to their already weighty corn length today. They simply can't get enough of the stuff, the problem is IF there is a bearish surprise in store tomorrow from the USDA then there will be a massive stampede for the exit corn door. Estimates for tomorrow’s weekly export sales report range from 550,000 to 900,000 MT. Crude oil rising the best part of two dollars after OPEC failed to find a unison on production increases also helped. Wheat: Jul 11 CBOT wheat closed at USD7.48, up 14 1/4 cents; Jul 11 KCBT wheat closed at USD8.85, up 10 1/2 cents; Jul 11 MGEX wheat closed at USD10.21 1/2, up 36 3/4 cents. The USDA will release the June WASDE report, US winter wheat production estimates and ending stocks projections tomorrow along with the regular weekly export sales report. The latter is forecast to show sales of 200-400 TMT. The former could show anything, but is expected to show lower production from the EU, lower winter wheat output and reduced ending stocks for both crop years. 08/06/11 -- EU grains closed higher with July London wheat up GBP3.00 to GBP193.00/tonne and with new crop Nov up GBP4.50/tonne to GBP189.00/tonne. Nov Paris wheat closed EUR8.50/tonne firmer at EUR234.00/tonne whilst May12 rose EUR8.25/tonne to EUR237.50/tonne. 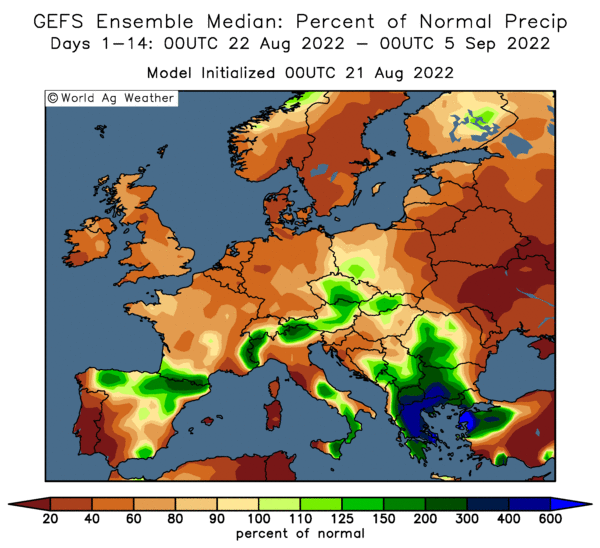 Although rains continued to fall today over northern France and Germany, the general consensus is that they are only likely to stop further deterioration in crop prospects rather than add to them. The French Ministry pegged soft wheat production there at 30.9 MMT, which combined with durum output of 1.9 MMT, gives them a total all wheat crop of 32.8 MMT, 14% down on 2010. Barley production will total 8.7 MMT, they said. That's some 1.5 MMT down on last year, or a near 15% fall. The numbers are in line with ones from the USDA's agricultural attaché in Paris who estimates the wheat crop at 32.3 MMT, a fall of 15% on last year. The USDA will report tomorrow on their official world supply and demand numbers, together with US ending stocks for 2010/11 and 2011/12. They had EU-27 all wheat production at 138.6 MMT last month, we will doubtlessly see that reduced this time round. Included within that figure was French wheat output of 36.7 MMT, that in Germany of 24.75 MMT and 16 MMT from the UK. They had Europe down to produce 53.9 MMT of barley last month with Germany and France each accounting for 9.6 MMT of that and the UK a further 5.35 MMT. Although the rains may be too late to increase wheat and barley potential in Europe they may be able to be of some benefit to corn output which the USDA had at 59.3 MMT last month. 08/06/11 -- The overnights closed mixed with wheat and corn failing rather miserably to hold onto early session gains. Beans finished 5-8c lower, with corn 2c up on old crop to 3c lower on new crop. Wheat was narrowly mixed either side of unchanged. Crude oil is lower and the dollar a bit firmer. The market is nervous ahead of tomorrow's USDA stocks and WASDE data. Flooding along the entire length of the Missouri River is keeping spring plantings from completion. Minneapolis wheat has opened up a large gap between it and Chicago and is now trading with huge volatility having closed almost limit down last night. It's had a USD1.38 trading range in the last two sessions after rallying to a new contract high of USD11.20 on Monday it closed at USD9.84 3/4 last night. Historically the USDA does not change its spring wheat production forecast in June, having only done so once since 1990. Only minor changes are expected to the 2010/11 ending stocks estimates from last month, the 2011/12 carryout will be potentially more interesting. There has to be a distinct possibility that they will increase US wheat exports in the coming marketing year due to an expected cut in EU exports/production on the back of the drought here. There is also a risk of a lower US winter wheat production estimate although early harvesting reports coming out of Kansas and Oklahoma report perhaps better than expected yields. That is better than what the farmer expected, not necessarily better than what the USDA had pencilled in. Corn ending stocks for next season are expected to be trimmed from 900 million bushels to 817 million, although the lowest estimate in the range of analysts prediction is 548 million, so there's a pretty wide spread there. By comparison soybean ending stocks are not expected to alter too much, rising from 170 million to 173 million in 2010/11 and from 160 million to 162 million in 2011/12. Assorted analysts have cut their French wheat production estimates in the past 24 hours, indicating a crop of around 14-19% down on 2010. In Brazil, Conab say that the final tally on the soybean crop there was a record 74.9 MMT, up 8.5% on last season. 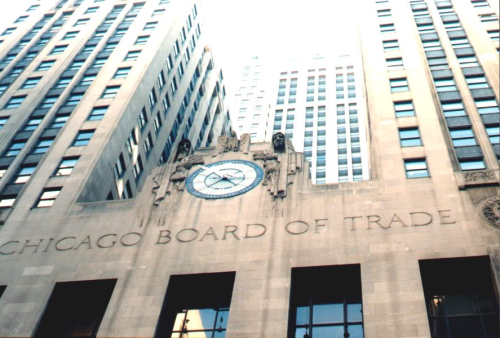 Early calls for this afternoon's CBOT session: corn 2c firmer to 1c lower, beans 6-8c lower, wheat 1-2c firmer. 08/06/11 -- Offre et Demande Agricole have cut their French wheat production estimate to 31 MMT, 19% down on last season. It may be worth considering that the French consultancy have been particularly bearish on the extent of the damage done by the spring drought across Europe, coming in with the lowest estimate in a recent Bloomberg survey of seven leading analysts and traders into the size of the EU-27 wheat crop this year. The USDA's agricultural attaché in Paris meanwhile estimates the wheat crop at 32.3 MMT, a fall of 15% on last year. FranceAgriMer have today pegged soft wheat output at 30.9 MMT and durum at 1.9 MMT, for a combined 32.8 MMT, 14% down on 2010. To get things into perspective these numbers take around 6 MMT off the world export market in 2011/12. Yet Russia alone is seen adding that kind of volume, with a further 7.5 MMT coming onto the market from Ukraine and Kazakhstan. All we are seeing here is the balance of exporting power switching away from the EU and the US back to the Black Sea next season. Remember that as recently as three years ago the EU was only exporting 12 MMT of wheat a year. Despite production downgrades this will be the fifth year in a row that the EU will produce more wheat than it consumes. Although yields will be low I think that quality will be good this year as things stand at the moment. The 2010/11 season was an opportunity to fill the void left when the cheap shops had all sold-out and make some nice money. I'd say that 2011/12 might be more of a year to let Matalan and Primark swamp the market with their cheap tat whilst picking off the occasional discerning Algerian fashionista that wanders into our designer boutique. 08/06/11 -- The overnight Globex market is around 2-3c firmer on wheat and corn and 2-4c weaker on beans around 8.30am London time. Crude oil is around half a dollar lower and the pound is down to 1.1150 against the euro. It hasn't traded below 1.11 since early May, and then only briefly. We have to go all the way back to Feb/Mar 2010 to find it trading at that sort of level for any length of time. The reason for that seems to be Moody's saying that the UK could lose it's AAA credit rating if growth remains weak and the government don't get their finger out. 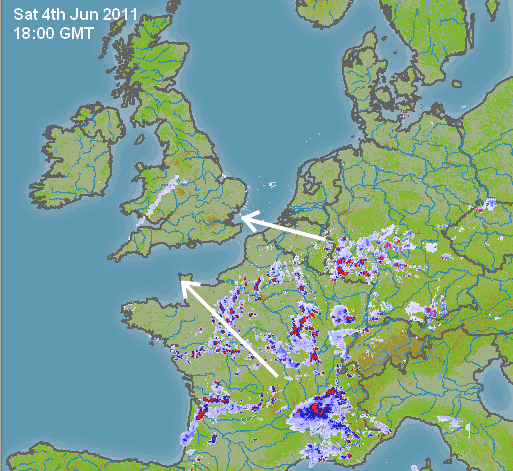 Significant rains fell in northern France and western Germany yesterday afternoon and overnight. 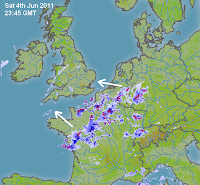 Joachim, my German correspondent, says they picked up 20mm in Rhineland in a "long lasting thunderstorm". Paris has picked up a similar 23mm in the past 24 hours. Joachim incidentally tells me that there is a lot of concern amongst Germany farmers that they may have oversold their crops going forward. A meeting he attended in Sohren yesterday where 40 farmers were expected, had 140 turn up to discuss the possibility of claiming force majuere. Is the drought there a legitimate "act of God" event? Not according to the lawyer that they had speaking, who told them that under previous Supreme Court rulings only a once in a 100 years event is sufficient to claim force majuere. Chicago July corn is currently trading at a premium to CBOT wheat for only the second time in the last 15 years. 07/06/11 -- Soybeans: Jul 11 soybeans closed at USD13.94, up 10 3/4 cents; Nov 11 soybeans closed at USD13.85 1/4, up 12 1/2 cents; Jul 11 soybean meal closed at USD368.00, up USD8.60; Jul 11 soybean oil closed at 57.93, down 10 points. The late planting storyline rumbles on with the USDA reporting only 68% of the crop in the ground as of Sunday night, somewhat lower than the 70-75% the trade estimated. That may be due to farmers concentrating a little bit more of their efforts into getting the last of the corn in. Funds bought an estimated 5,000 contracts of beans today as the weak dollar also lent some support. 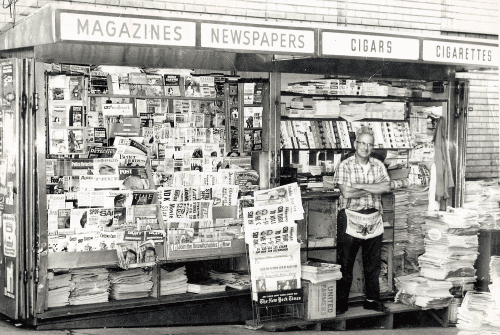 The trade is now focused on Thursday's upcoming stocks and WASDE report. Corn: Jul 11 corn closed at USD7.36 1/2, up 4 1/2 cents; Dec 11 corn closed at USD6.76 1/2, up 9 1/2 cents. The USDA said that 6% of the crop remains unplanted as of Sunday, that equates to around 5.5 million acres. Funds bought an estimated 5,000 contracts on the day. 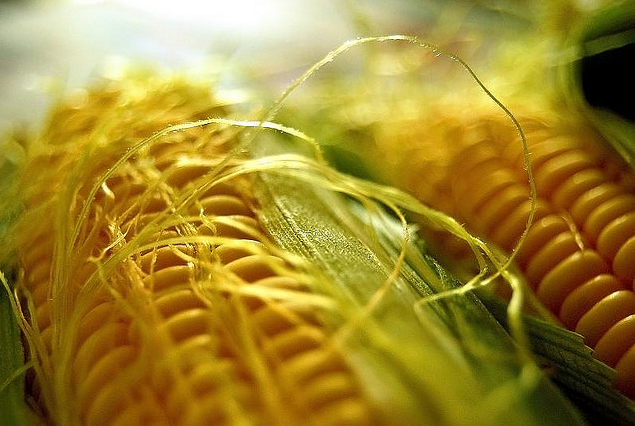 Private exporters announced the sale of 548,640 MT of new crop corn, along with a further 274,320 MT for 2012/13 delivery all to Mexico. In Thursday's stocks report 2010/11 carryout is estimated at 715 million bushels, 15 million down on last month and almost a billion below the levels of 2008/10. New crop ending stocks are pegged at 817 million, down from 900 million in May. Wheat: Jul 11 CBOT wheat closed at USD7.33 3/4, down 10 1/4 cents; Jul 11 KCBT wheat closed at USD8.74 1/2, down 15 1/2 cents; Jul 11 MGEX wheat closed at USD9.84 3/4, down 57 1/4 cents. Reports of European rains weighed on sentiment. US winter wheat good/excellent improved one point last night, but to only 34% as opposed to 66% a year ago. Early harvest reports coming out of Kansas suggest better quality than expected with good test weights and decent proteins. Yields are down, but given the very dry spring some are being described at "a pleasant surprise". Spring wheat planting is only 79% done compared with 98% on average and 87% a year ago (itself a wet spring). 07/06/11 -- EU wheat futures closed lower with Jul London wheat down GBP2.50/tonne to GBP190.00/tonne and with new crop Nov falling GBP5.00/tonne to GBP184.50/tonne. Nov Paris wheat was down EUR4.00/tonne to EUR225.50/tonne whilst May12 declined EUR3.25/tonne to EUR229.25/tonne. This was the lowest close for a front month on London wheat since Mar 17, when the market was rebounding from the aftermath of the Japanese earthquake and subsequent tsunami. Recent significant rains across northern France and central/western Germany are seen benefiting crops there. Southern areas of the UK have at least received something, although coverage here has been more localised. Despite weather problems in Europe and America the trade seems to be coming to terms with the notion that the crops in eastern Europe and the FSU are looking if not bumper at least ample. The three lions of the Black Sea - Russia, Ukraine and Kazakhstan - are back on the prowl eager to gobble up any export order going. Ukraine's Deputy Farm Minister pegs the wheat crop there at no less than 20 MMT, an increase of a minimum 19% on last year. Exports are estimated to be anywhere from 8.5-10.0 MMT, a rise of 140-185% on 2010/11. The Russian Deputy Agriculture Minister says that their wheat exports may reach 13 MMT in 2011/12, 3 MMT more than the USDA estimate and a 225% increase on the current marketing year. Wheat production and exports in Kazakhstan meanwhile are seen rising by at least 50% in the season ahead. "The Board now anticipates a record year for the Group following strong trading in the key winter and spring months in its Feeds and Fuels divisions." Adding: "Profit in our Feeds division is expected to be significantly ahead of expectations." And: "the outcome of the current financial year will be significantly ahead of its prior expectations." What a hot tip that was. 07/06/11 -- China says that the winter wheat harvest there is 35% complete, and you'll never guess what, that's right - they expect increased output in all the major growing regions. Again. 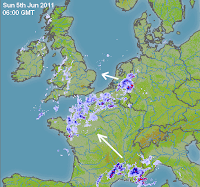 It continues to piddle it down in Paris - 38mm in the past 24 hours to 09:45 London time. Nov11 London wheat is GBP4.50/tonne lower in early trade, with Paris wheat down EUR3.50-4.75/tonne. Nov London wheat has fallen GBP12.00/tonne, or 6%, since the lifting of the Russian export embargo. Nov Paris wheat has declined by EUR23.25/tonne, or 9.3%, and Dec CBOT wheat by almost 70c, or 7.6% (incl the overnight market), in the same time frame. That suggests that London is still a little overpriced relative to the rest of the wheat market. 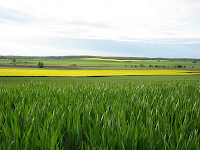 Joachim, my German correspondent, says that he expects the barley harvest in his region of Rhineland to start at the end of June, which is very early he says. 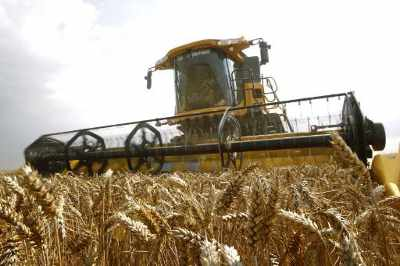 He estimates this year's winter wheat yields at around 7.5 MT/ha, with OSR yielding 3.2-3.8 MT/ha. That wheat yield estimate is in line with last year, although the rapeseed estimate is well below last season's 3.9 MT/ha average. The FAO peg world wheat production in 2011 at 674 MMT, some 4.5 MMT higher than the USDA estimate. EU-27 output this year will be 137 MMT. World 2011/12 ending stocks will be 183 MMT, 2 MMT more than last month's USDA estimate, they say. Humberside Police, under pressure to cut their budget, ended up forking out GBP110,00 it hadn't expected in overtime costs to police the construction workers protest at Vivergo, according to the Yorkshire Post. Ukraine will produce 45-46 MMT of grains in 2011/12 and export 20-21 MMT, according to the Agrarian Confederation there. Exports in 2010/11 are expected to be in the region of 12.0-12.5 MMT. 06/06/11 -- Soybeans: Jul 11 soybeans closed at USD13.83 1/4, down 31 1/4 cents; Nov 11 soybeans closed at USD13.72 3/4, down 24 1/4 cents; Jul 11 soybean meal closed at USD359.40, down USD9.00; Jul 11 soybean oil closed at 58.03, down 70 points. After the close the USDA reported that US soybean plantings were 68% complete as of Sunday, against trade expectations of 70-75% done. Personally I don't see that as particularly bullish as there is still more than plenty of time to get the crop into the ground. Corn: Jul 11 corn closed at USD7.32, down 22 cents; Dec 11 corn closed at USD6.67, down 19 1/4 cents. The USDA pegged planting progress at 94% done, in line with trade estimates. 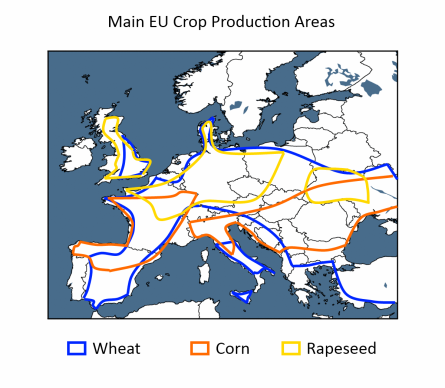 European weekend rains may have helped crop production prospects there it is thought. Ohio has caught up from being only 19% done last week to 58% complete this week. Funds sold an estimated 13,000 contracts on the day ahead of the anticipated "Goldman Roll" starting tomorrow. Wheat: Jul 11 CBOT wheat closed at USD7.44, down 29 3/4 cents; Jul 11 KCBT wheat closed at USD8.90, down 24 1/4 cents; Jul 11 MGEX wheat closed at USD10.42, down 18 1/2 cents. After the close the USDA pegged US spring wheat planted at 79% done, down 19 points from average. Rain in Europe across the weekend drove wheat futures lower. US wheat is seen as being "miles out" compared to Russian and Ukraine wheat inweekend tenders. 06/06/11 -- EU grains closed lower with July London wheat down GBP2.50 at GBP192.50/tonne and with new crop Nov closing GBP3.50 easier at GBP189.50/tonne. Nov Paris wheat fell EUR6.50/tonne to EUR229.50/tonne whilst May12 was down EUR6.00/tonne to EUR232.50/tonne. Decent weekend rains for France, and Germany, with more in the forecast over the next few days put the market under pressure. London wheat fell a bit more modestly as rains here were more scattered. Some lucky places in the south east got localised amounts of 30-50mm, but many others reported only 2-5mm. How much good these rains will do at this stage is also a matter for debate. Whilst they certainly can't do any harm as far as head filling is concerned they aren't going to create any new tillers. Damage limitation is perhaps the name of the game from hereon in. Reports circulating suggest that Russia has a significant volume of extra carryover wheat than official estimates reveal. It seems that growers there were maybe a little "over zealous" in their estimates on exactly how bad yields were in 2010 in an effort to gain maximum disaster compensation out of the government. This only seems to be coming to light now as long-holders look to liquidate stock now that the export ban has been lifted in an eleventh hour rush to make room for the impending harvest. At home, what remaining UK wheat balances there are have few willing takers now that Ensus is out of the frame. From a feed compounder's point of view general demand is slack, and wheat is now a rather expensive raw material within that sluggish demand sector. The USDA will report on corn and soybean planting progress later this evening, and also on that of spring wheat together with winter wheat crop conditions. Later in the week we have the WASDE report on Thursday, which may provide some fresh impetus. 06/06/11 -- The overnight grains finished lower with corn down 8-10c, beans down 6-8c and wheat falling 10-12c. Crude is lower on global economy fears and the dollar is broadly unchanged. 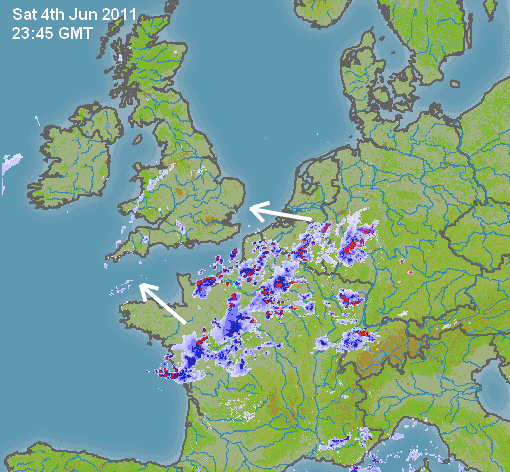 Weekend rains in northern France and central/western parts of Germany are the bearish catalyst today. 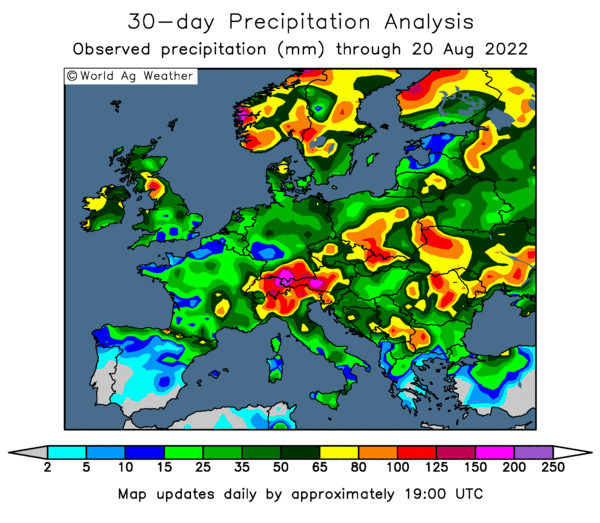 More rain is forecast for both for the next few days with the SE of the UK and western parts of Poland also seen picking up varying amounts. There's speculation that Russia may have more carryover stocks left from 2010 than official figures suggest. We've already seen them undercut US wheat substantially in one or two tenders in the past few days, with Ukraine then usurping Russia by coming in even cheaper. That probably sets the tone for many of the tenders that will come out of the Middle East and north Africa for much of the remainder of 2011. Algeria seems to be still excluding Black Sea origin grain though, booking 600,000 MT of probably French wheat over the weekend. Ukraine will produce will produce 43.4-48.7 MMT of grains in 2011 depending on weather conditions between now and harvest-time, say APK-Inform. They also have significantly larger than normal carryover old crop stocks. With a domestic demand of only 14.7 MMT there's going to be plenty to sell on the international market. The US markets appear to be trading semi-oblivious to the notion that the balance of export power is switching back to the Black Sea, where price is an almost secondary consideration. What is going on in their own flooded (or parched) backyard is of far more importance. 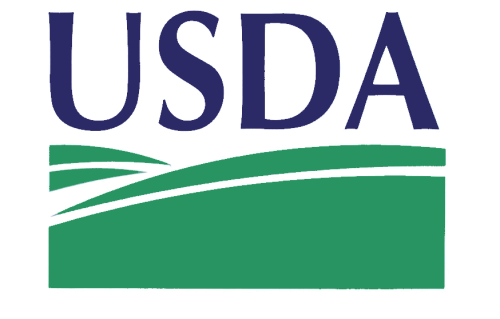 The USDA will report on planting progress after the close tonight. Last week corn was 86% done, that should be in the 90-95% region today. Soybean plantings were only just past halfway, whilst spring wheat sowings were 68% complete. I expect to see bean plantings around the 70-75% mark tonight, leaving plenty of time left to get the remaining crop into the ground. Spring wheat planting delays in the northern Plains continue to see Minneapolis wheat, appropriately enough, paddle it's own canoe. 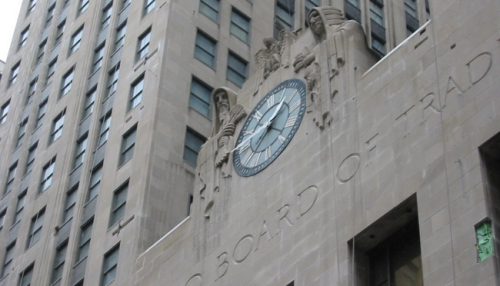 Early call for this afternoon's CBOT session: corn down 8-10c, beans down 6-8c, wheat down 10-12c. 06/06/11 -- It seems that you can't trust anybody any more doesn't it? No sooner have we discovered that the Germans were somewhat premature in telling the Spanish to stick their cucumbers up their youknowwotsits when the problem was in their own backyard, than we now discover that the Russians may have been telling porkies with regards to the size of their grain crop last year. Top site Agrimoney.com report Russia grain losses exaggerated by up to 6m tonnes, adding some weight to the notion that the real reason behind the recent lifting of the embargo may be to make some room for the coming new crop. My Romanian correspondent was in Russia recently and suggested that there was indeed some truth in reports that despite a "disastrous" harvest last year the ports are still choc-full of grain looking for a home. None of it is expected to be headed for Algeria though, they've just bought 600,000 MT of what is thought to be French wheat over the weekend. Poor Russia must be wondering what they need to do to win an order. After being reputedly USD70/tonne cheaper than US wheat in last week's Lebanese tender, they still missed out to the tune of USD15/tonne to those cheeky scamps the Ukrainians. By my lightening fast calculations that makes Septic wheat USD85/tonne out on price into the Middle East. I was always good at maths though, did I ever tell you about the time I tipped Grundy to win the Derby to my maths teacher Mr Dale? He set the rest of the class come complicated calculus and told them to shut up whilst me and him were hanging out if the classroom window listening to the race on his car radio - which he'd thoughtfully parked adjacent to the maths classroom. Happy days. In an interesting bit of trivia, did you know that the dog's website is now getting 7,000 hits/month of it's own? I bet that's more than some of your corporate sites. Not only that but I am delighted to report that the little fella is about to start buying his own biscuits as he has now secured his first ever paying advertiser! Don't email him to tell him that there isn't an ad on there yet, he's waiting for all the legal stuff to be signed first. Not bad for a two and a half year old border terrier. London and Paris wheat are lower after weekend rains turned up in many parts. The slippery garlicky surrender monkeys appeared to get the lion's share of it, although the glow in the dark beansprout peddlers got some too. In God's homeland "scattered" seems to be the watchword, with some in the SE reporting locally heavy totals, yet others not that far away receiving only a few millimetres. Still, that's what you get for living Darn Sarf innit? The Drought may cost UK farmers £400m says the Daily Bellylaugh today. Mind you, according to EULEAKS Britain's farmers get GBP3 billion a year in subsidies. Discuss. 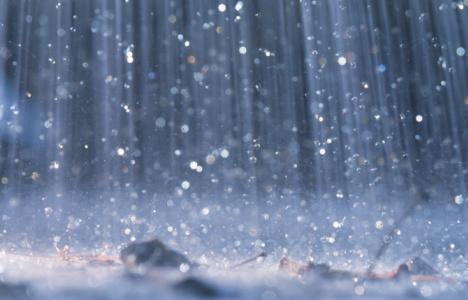 06/06/11 -- My Sussex correspondent reports 27mm of rain in the past twelve hours (to 6am this morning) and tells me that it's still raining now. That almost matches the 31mm total that he's seen since February. Up here in North Yorks we had a cool, grey and relatively dry weekend, picking up just 0.5mm around 6pm last night. We did see 49mm in May though, much of it in the last week of the month. It looks like rain did eventually make it into central and western Germany in late afternoon and early evening last night too judging by the 6pm UK time radar image (click to enlarge). Meanwhile those Parisian walkways must be soaking by now, they've had 76mm in the 24 hours to 08.30 this morning. If your down in the SE "danger zone" or even on the continent, email me what your rainfall situation is looking like this morning and I'll post the results up later. 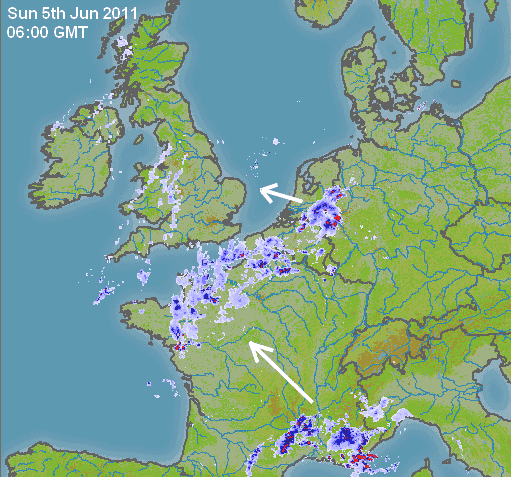 05/06/11 -- The old Parisian walkways may be a bit slippy underfoot after picking up 16mm of rain in the past 24 hours (to 9am Sunday), see the various radar images which are clickable to enlarge. Some of these rains may make it across the channel and into the south (and if you're luck even the south east) later today, providing some heavy downpours in places, according to the BBC. 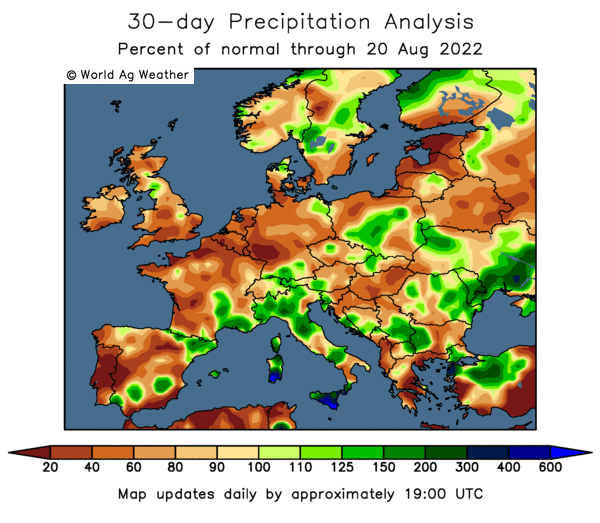 It looks like northern Germany largely missed out on much of this needed moisture however, although the Beeb are giving them the chance of picking up some heavy rainfalls Tuesday/Wednesday. There's more rain on the cards for Paris early next week, with Accuweather forecasting an 88% chance on Monday and a 92% chance on Tuesday before the outlook turns a bit drier later in the week. Berlin has an 88% chance of rain today, rising to 92% tomorrow, 70% Tuesday and 88% Wednesday, according to Accuweather. Thunderstorms are likely with temperatures today set to hit highs of 30C before things cool off a little later in the week, they forecast. Rain moving up from the Med, pushing north and eastwards should even make it into Poland by Tuesday, according to the BBC. At home it's turned much cooler as the wind turns north-easterly. Here in North Yorks we had a daytime high of 25.7C on Thursday, 25.4C Friday and just 15.4C on Saturday. No rain yet so far this month though.